How to Develop Better Topics for Malaysian Business Blogs? As business to consumer relationship changes, companies have looked for key factors that would help them evolve to meet new consumer demands; giving their customers the value that they are seeking for. One method and the method that I am using right now to write to you that has taken off over the past several years is the business blog, and it shows no signs of slowing down! 60% of business have a business or a company blog, a staggering statistic if you ask me, and it is a credible potent secret weapon that can impact your company's marketing strategies. News websites have people cornered on information, while culture websites are distracting everyone and that leaves businesses with a unique position to engage, inform, and build a solid relationship with users! Business blogs are now the human face of a modern company, to try to create a sense of trust with potential customers, giving value to your readers while at the same time shaping your product and aims in the process. Case Study: IBM Blog. Notably missing from IBM's blog is recommendations for personal computing, because the organization knows its audience. Knowing your audience takes more then demographic information, it should also include trends and evolution. There are two ways of achieving this. One is through Technorati's blog directory and another through RSS feeds. Don't try putting on a mask. Be true. Be real. Intention should be the key to everything here. 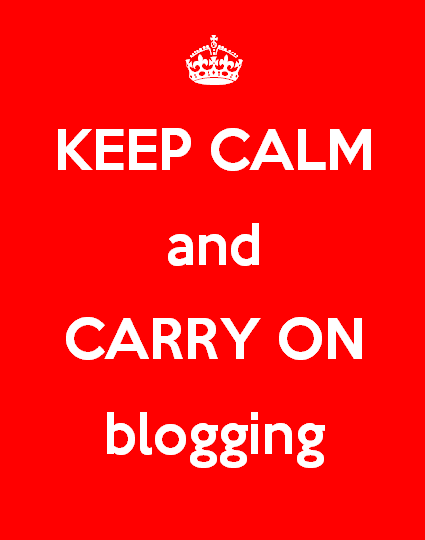 Are you blogging to give valuable information, or just blogging for the sake of blogging? Customers and consumers are well informed. Make blog topics substantial and deliver information of value to your readers. Take time to understand that superficial content is going to hurt your image just as much as just not publishing any content on your blog at all (if not even worse). Digital is the future, but listen to real humans. It doesn't take a lot to get wrapped up with all the digital research, but more often than not the real case that needs to be looked into is what your customers actually want. Lend a listening ear to your concerned customers and stay true to what they actually need. Pay attention to titles that do well on social media so you can leverage on what your users want to read and this should be of the very highest priority. Incorporating user voting through SurveyMonkeys or GoogleDocs should help shape the content of your blog in a very interesting manner. With the right mix of technical expertise, community interaction and feedback, and the right etiquette your blog can be very much be part of your marketing efforts, with the added bonus to strike an invaluable relationship with your customers. Once upon a time we used to be boggled down by the endless amount of text in textbooks and for the most of us dread looking at so much text. You don't want to do that to your readers. Make your posts scannable (to a certain extent, because some parts do require further elaboration). Include points, sub-points, numbers, short paragraphs etc. This helps readers go through the content quicker, and grasp parts that is most relevant to them. Nothing beats free stuff, period. You can give away your latest product, or a new iPad or computer that would make your customers excited. Oh, don't forget you could also giveaway stuff that guest bloggers post, like e-books, books, or similar merchandize. Get an interview with an industry expert, someone that could give super valuable information that would empower your readers with even more knowledge! Remember your blog shouldn't be a place for you to have your sales pitch, but rather it should be a place where your customers can come to gain valuable information, and to have a real relationship. Don't forget to keep up to date with the latest trends to service customers that are up to date with the latest bits of information. Do you agree that blogs should deliver true value and not be a place to sell? How do you find the right topics for your business blog? Multi-site Colocation - How it helps you. Is SMS in Malaysia Still Relevant Today? Discounts & Deals don't "bite"
Google's Secret Search Algorithm "Hummingbird"